New engine to be one of the second-gen SKYACTIV technologies. According to a report from Nikkei, the fourth generation Mazda3 will be introduced in 2018, and it will come with a new SKTACTIV engine. The next-gen Mazda3's new SKYACTIV engine will feature homogeneous charge compression ignition technology. The Japanese publication says that the company will debut a new engine that will be a part of the second generation SKYACTIV technologies. The engine will be 30% more fuel-efficient. The improved fuel efficiency will be a result of the usage of pressure instead of spark plugs to ignite the fuel. The new engine with the homogeneous charge compression ignition technology will gradually see an introduction in more models after the Mazda3. 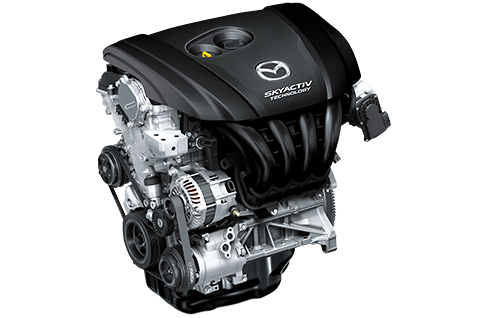 The next-gen Mazda3 powered by this engine should have a fuel economy rating of 30 km/l. The 2018 Mazda3 with the new SKYACTIV engine will have a fuel economy of around 30 km/l. Around a year after the 2018 Mazda3's launch, Mazda will start mass-producing electric vehicles, and the company plans to launch a plug-in hybrid in 2021. The electrified vehicles will target buyers in U.S. and Europe. The company forecasts internal combustion engine-powered vehicles to continue accounting for a majority of the sales for the foreseeable future.